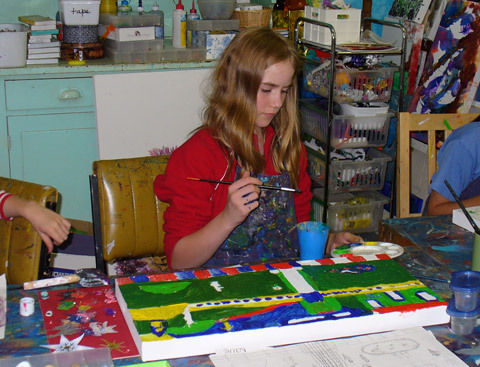 Art classes are designed for 5 to 12 year olds, and teenager art classes are now available. Art classes encourage the student to be creative and let their inner talents and potentials have a new voice and spirit to shine. 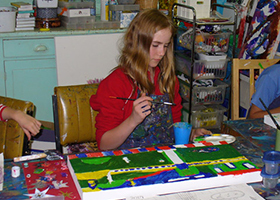 Art students will experience a variety of art mediums and styles. 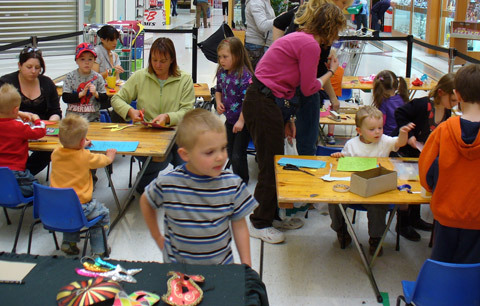 These include collage, free hand drawing, design, colour, textures, water colour, acrylics, painting, mandalas, composition using techniques, design, colour and creativity. Jessica Pierce guides each individual student and as a group through a personal and rewarding journey through self discovery and an innate knowing that the student has the potential and ability to create any thing they choose. Jessica is an encouraging teacher and believes we all have our own innate wisdom waiting to be tapped into with positive encouragement in a safe environment, allowing creativity to be freely expressed. Duration: 60 mins to 2 hrs per workshop. 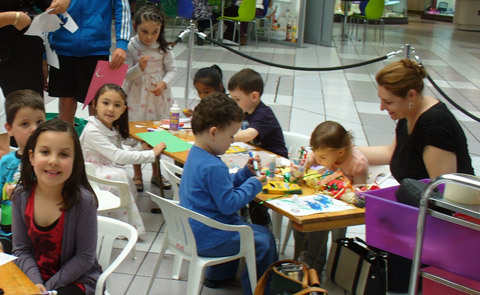 Class bookings: you may book one class only or have 7 to 10 various art classes over a number of weeks. Space requirements: tables and chairs are required for the amount of students who will be attending the workshops. Recommended for: schools, oshc, kindergartens, colleges, holiday programs, festivals, fairs, birthday parties, weddings, community centres, libraries, companies, special needs groups, disability groups and camps. It is said that puppetry had its birthplace in India, almost a thousand years B.C. The Indonesian puppet shows would be opened with a speech from a holy person and treated with a certain degree of seriousness. Centuries later, Bunraku puppets, large, extremely expressive Japanese puppets were handily replacing human actors on the stage. In terms of art and entertainment puppetry is a constantly evolving art form even today. Students will choose their puppet design from an array of multicultural puppets. They will cut, colour, stick and decorate the puppets. The will have a choice of putting split pins through the puppet or applying strings to their creation. The children are then ready to play and perform with their very own hand made puppet. Recommended for: 8 to 12 yrs. Children will be inspired by illusion and magic mastery. This workshop teaches children how to make their own magic kit and perform with it. They will take the kit home with them, to perform to friends and family. 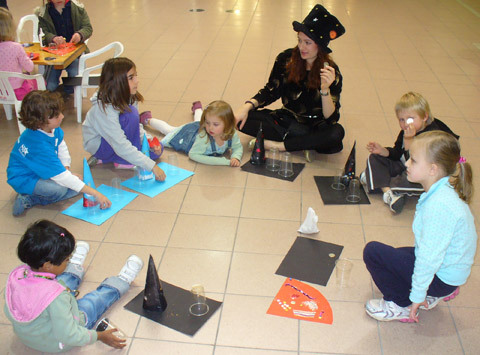 Various skills are developed in observation, concentration, memory, performance and art. Hats and headdresses have played an important part of adornment from the beginning of mankind and are used for ceremonial, religious, safety, fashion, and social status reasons, and as a part of culture and nationality. Everyone loves to be different characters and dress up. Children will have fun creating, making, and designing hats and headdresses of their choice. 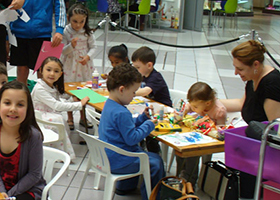 Cutting, sticking and wearing their new creation will be a joy for every child. Recommended for: 5 to 12 yrs. A mask is an object normally worn on the face, typically for protection, disguise, performance or entertainment value. Masks have been used since antiquity for both ceremonial and practical purposes. 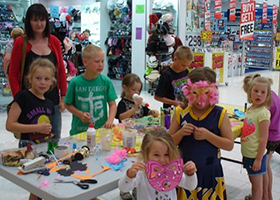 Children find out about the mysterious world of masks in history and making their very own. Children will have a choice of various cultural masks from around the world to select. They will cut out, stick and decorate the mask with a wide variety of materials and textures. They can wear their mask, or hang it on a wall. Mandalas have an ancient history from the beginning of time and have been used in many cultures from all around the world. The Hindu word mandala means “magic circle.” The circle represents God, “the one.” In traditional mandalas, there are usually diagrams illustrating the unity of heaven and earth. 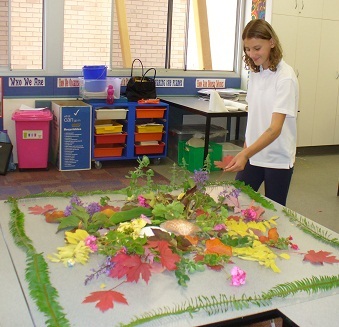 Students will gain an understanding of mandalas and their significance for today. Participants will learn how to make their own mandalas by using mixed medium styles and gain an understanding of how mandalas benefit the individual. Recommended for: 5 to 12 yrs, teenagers or adults. Emotions have a strong part in how we feel about ourselves and the world. Art provides a voice to express emotions and feelings, with or without words, by creating visual art forms than enable emotional expression. 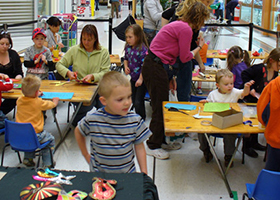 The Right brain is developed though participation in art activities. Children should be exposed to the arts as their cognitive skills mature so that their right brain will be as developed as the left, so both hemispheres work in tandem, thus achieving the full potential of the mind. Art furthers the students mind by encouraging creativity, cognitive development, and self expression, a way of expressing thoughts and allowing students to think for themselves. Dexterity is developed as children gain better control over their hands, fingers, body, hand eye coordination and develop their motor skills. Students learn to observe, describe, analyse and interpret. 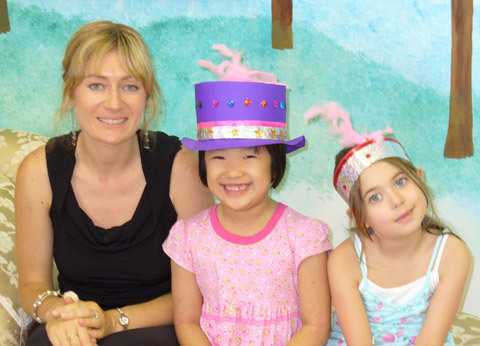 Arts introduce children to cultures from around the world and allows them to feel globally connected. Artistic expression also builds confidence. 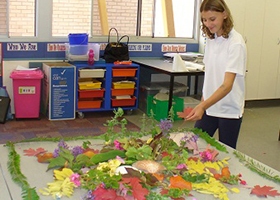 Students learn to do things in many different ways, as there is not just one right way to make art. Children gain greater thinking capacities. Children develop concentration, patience, and perseverance as they are taught to follow various steps and instructions to get a final product or piece of work completed. Having fun is a cornerstone of childhood, and the value of fun is incorporated in creating art. Creativity engages a number of mental processes, such as problem solving, idea generation, and comprehension. Making something from raw materials also comes with considerable personal rewards and a sense of accomplishment. 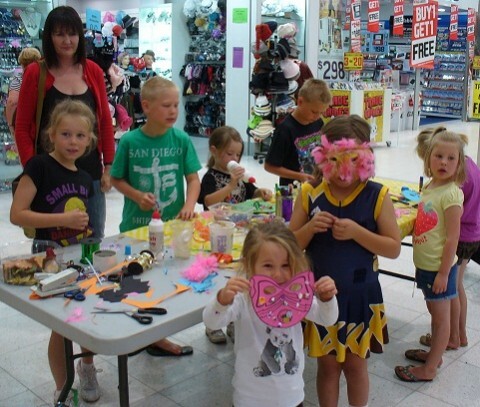 Creative activities serve to increase self-awareness and promote self-acknowledgement and allow children to be more productive and creative in general.